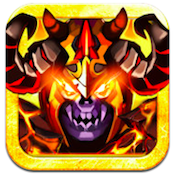 Lich Defense, developed by Jellyoasis, Inc., is a real-time strategy tower defense game for iPhone with a dark magic vibe. 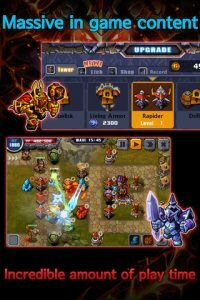 Lich Defense is an iPhone game that sets itself apart from the rest of the title in the tower defense genre in several different ways, including ambience and accessibility. First off, Lich Defense has a wonderfully creepy, dark fantasy type of vibe that’s sure to appeal to World of Warcraft players and Dungeons and Dragons enthusiasts alike. In addition to wonderful fantasy graphics in the game and in the cut scenes, there’s also an awesomely epic soundtrack that makes this tower defense game uniquely engaging. Better still is the gameplay. 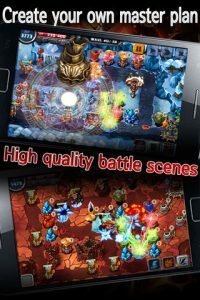 Unlike a lot of tower defense games out there, Lich Defense gets high marks for being accessible to tower defense newbies while still remaining fresh, challenging and exciting for even the most jaded, seasoned tower defense game junkies. The backstory is kind of cool: Lich Defense takes place in a fantasy world where a line of wizards was charged with protecting the door to the “devil world.” But without a new wizard to take his place, the last wizard was forced to become a lich, a cursed monster, to keep the door sealed forever. Featuring a unique blend of towers and magic items, these massive tower defense battles are filled with pulse-quickening action. 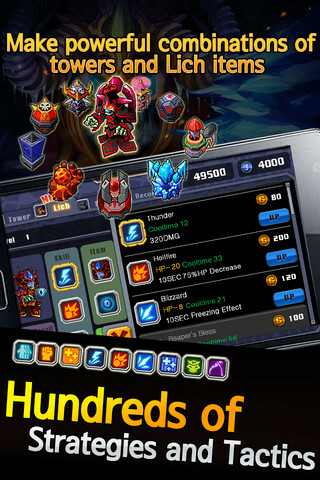 With a blend of environments that stretches across meadows, icy tundra, and even volcanoes, there are over 60 quests to complete in this massive tower defense title. In fact, it’s a surprising amount of content for a 2-dollar app. 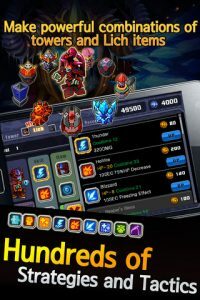 Whether you’re a long-running addict to tower defense titles, or are completely new to the genre and a bit skeptical about their appeal, Lich Defense is a great TD title that offers plenty of amusement for very little cash. Lich Defenseis compatible with iPhone, iPod touch, and iPad. 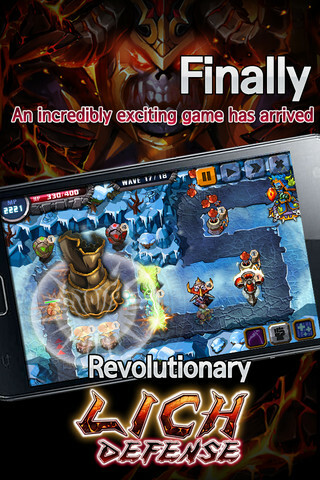 Requires iOS 4.3 or later.A small expedite fee was paid by the developer to speed up the publication of this iPhone game review.